Relating to the income tax irrigation credit; to amend Section 40-18-342 of the Code of Alabama 1975, as amended by Act 2017-352 of the 2017 Regular Session, to specify that eligible taxpayers may claim one credit during tax years 2011 through 2017 and one credit during tax years 2018 through 2022. (a)(1) Subject to subdivision (2), for For all tax years beginning after December 31, 2011, until tax year ending December 31, 2017, there shall be allowed to any agricultural trade or business an income tax credit of equal to 20% of the cost of the purchase and installation of any qualified irrigation equipment and any conversion costs related to the conversion of irrigation equipment from fuel to electricity or qualified reservoirs. For a surface water withdrawal irrigation system to be eligible for credit, the irrigation system must operate utilizing a qualified reservoir, except when the surface water withdrawal is directly from any river or stream whose average annual flow exceeds 8,000 cubic feet per second. A qualified reservoir is not required for a ground water withdrawal irrigation system. 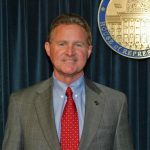 The credit shall be equal to 20% of the accrued cost of the qualified irrigation equipment and the cost of constructing the qualified reservoir, but shall not exceed $10,000 and shall not exceed the taxpayer's Alabama income tax liability computed without regard to the credit. The credit shall be taken in the year in which the qualified irrigation equipment or the qualified reservoir is placed in service. (2) The credit provided in this subsection shall be limited to only one purchase and installation of qualified irrigation equipment or one qualified reservoir per taxpayer. (b)(1) Subject to subdivision (2), for For all tax years beginning after December 31, 2017, until tax year ending December 31, 2022, unless extended by an act of the Legislature, there shall be allowed to any agricultural trade or business an income tax credit equal to 20 percent of the cost of the purchase and installation of any qualified irrigation equipment and any conversion costs related to the conversion of irrigation equipment from fuel to electricity or qualified reservoirs. For a surface water withdrawal irrigation system to be eligible for credit, the irrigation system must operate utilizing a qualified reservoir, except when the surface water withdrawal is directly from any river or stream whose average annual flow exceeds 8,000 cubic feet per second. A qualified reservoir is not required for a ground water withdrawal irrigation system. The credit shall be equal to a percent of the accrued cost of the qualified irrigation equipment and the cost of constructing the qualified reservoir, as follows: Twenty percent of the accrued cost not to exceed ten thousand dollars ($10,000) or 10 percent of the accrued cost not to exceed fifty thousand dollars ($50,000), whichever is greater. The credit shall not exceed the taxpayer's Alabama income tax liability computed without regard to the credit. The credit shall be taken in the year in which the qualified irrigation equipment or the qualified reservoir is placed in service. (c)(1) Subject to subdivision (2), for For all tax years beginning after December 31, 2022, there shall be allowed to any agricultural trade or business an income tax credit equal to 20 percent of the cost of the purchase and installation of any qualified irrigation equipment and any conversion costs related to the conversion of irrigation equipment from fuel to electricity or qualified reservoirs. For a surface water withdrawal irrigation system to be eligible for credit, the irrigation system must operate utilizing a qualified reservoir, except when the surface water withdrawal is directly from any river or stream whose average annual flow exceeds 8,000 cubic feet per second. A qualified reservoir is not required for a ground water withdrawal irrigation system. The credit shall be equal to 20 percent of the accrued cost of the qualified irrigation equipment and the cost of constructing the qualified reservoir, but shall not exceed $10,000 and shall not exceed the taxpayer's Alabama income tax liability computed without regard to the credit. The credit shall be taken in the year in which the qualified irrigation equipment or the qualified reservoir is placed in service. (d) The credit provided in this article shall be limited to only one purchase and installation of qualified irrigation equipment or one qualified reservoir per taxpayer. (e)(d) The credit may be carried to each of the five years following the taxable year the qualified irrigation system or reservoir is placed in service. The portion of the credit which shall be carried to each of the other taxable years shall be the excess, if any, of the amount of credit over the sum of the income tax due for each of the prior taxable years to which the credit may be carried. (f)(e) The Legislature recognizes that a substantial number of businesses are organized as limited liability companies, partnerships, and other types of business entities and that certain business entities, organized as corporations elect to be treated as "S" corporations under federal and state tax laws, and that it is essential that the irrigation credit amount shall be available on a pass-through basis. The shareholders, partners, members, owners, or beneficiaries of any of the aforementioned businesses claiming the credit allowed in this section shall be allowed their pro rata share of the credit against their income tax levied. (g)(f)(1) Effective for tax years beginning after December 31, 2017, the The agricultural trade or business receiving tax credits pursuant to this chapter section shall file an annual informational report in a manner as prescribed by the Department of Agriculture and Industries prior to claiming the credits on a tax return. All information submitted to the Department of Agriculture and Industries by taxpayers claiming or seeking certification of a credit shall be subject to the confidentiality provisions of Section 40-2A-10. (2) The information on the reports required by this subsection shall be consistent with the information required by the Legislature pursuant to Section 40-1-50, and rules adopted thereunder. Information Aggregated information provided pursuant to this section is exempt from the confidentiality provisions of Section 40-2A-10, and shall be provided by the Department of Agriculture and Industries to the Legislature in accordance with Section 40-1-50 and rules adopted by the Department of Revenue." This act shall become effective for tax years beginning on or after December 31, 2018, following its passage and approval by the Governor, or upon its otherwise becoming law. March 22, 2018 H Assigned Act No. 2018-468.